Sometimes when you’re following a new way of eating, you find you have to make modifications to some of your favorite recipes in order to make them appropriate for your lifestyle. Not so with one of my favorite snacks, deviled eggs. These yummy little bites of goodness are perfect for low-carb high-fat eating exactly the way they’ve always been made. 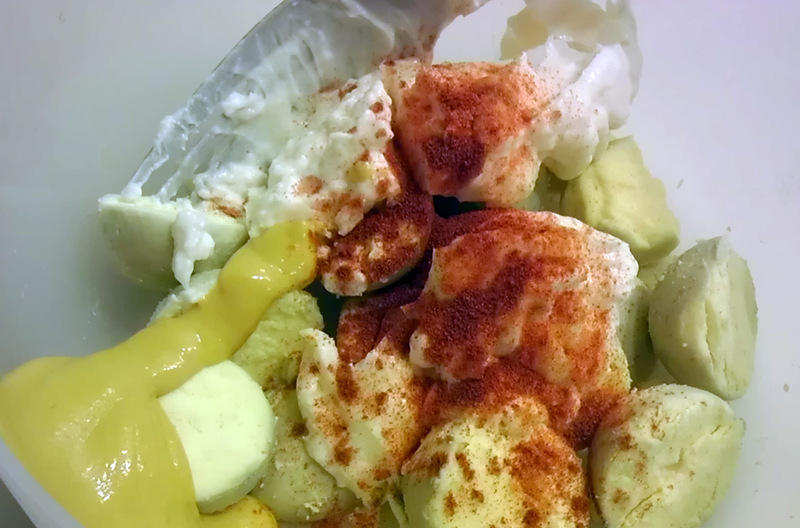 What could be healthier than eggs and mayonnaise, spiced with mustard, paprika, onion powder, and salt? 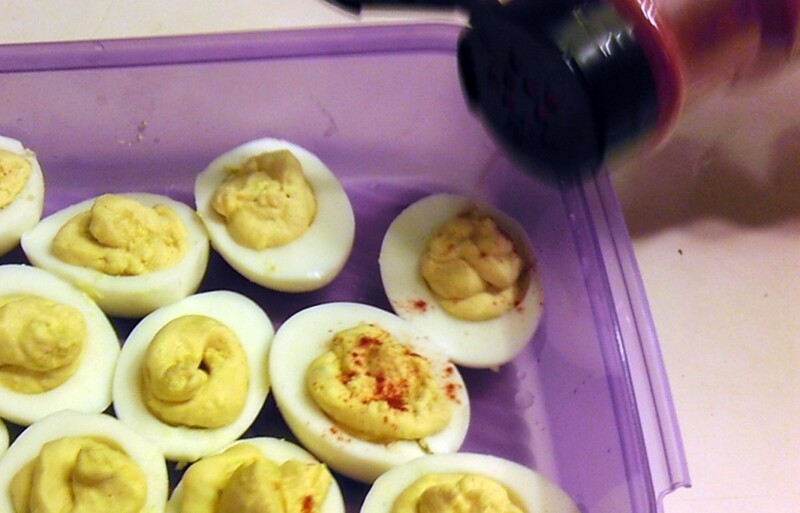 Deviled eggs are also one of the most convenient foods to have on hand. They come pre-portioned into two-bite pieces, and they keep very well in the refrigerator. 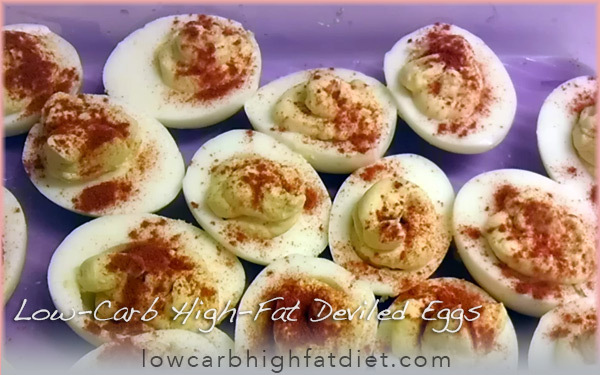 The spiciness of deviled eggs is completely adjustable by the cook, and a perfect way to tempt the reduced appetite you get from following a low-carb high-fat diet. The eggs are a great source of protein, and the yolks contain a lot of healthy saturated fat. The added mayonnaise also helps supplement the fat; just make sure the brand of mayonnaise you choose doesn’t have any extra sugar added, and uses oils that you feel comfortable eating. 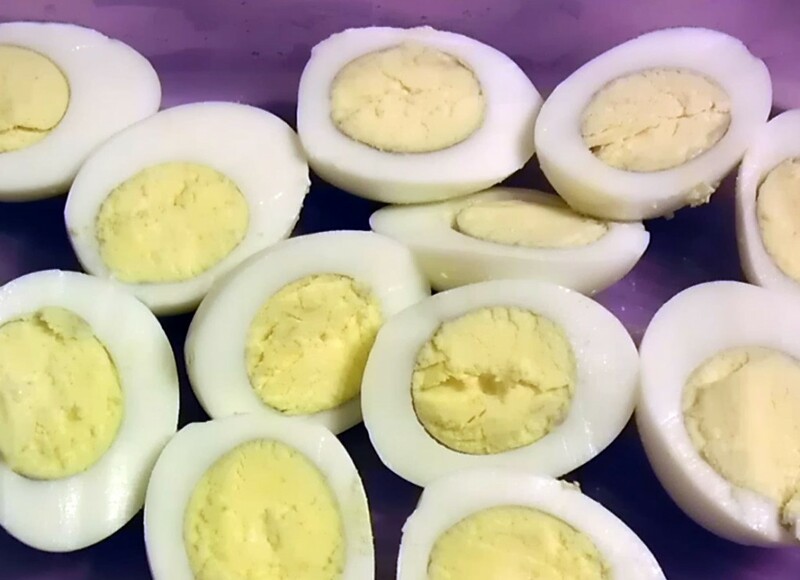 This is my husband’s favorite recipe for deviled eggs, but there’re so many out there, you could follow practically any one, and you’ll be in great shape. We like to do a batch of about eight eggs at a time. Boil them up on the stove until they’re hard-boiled; about 10 or 15 minutes. 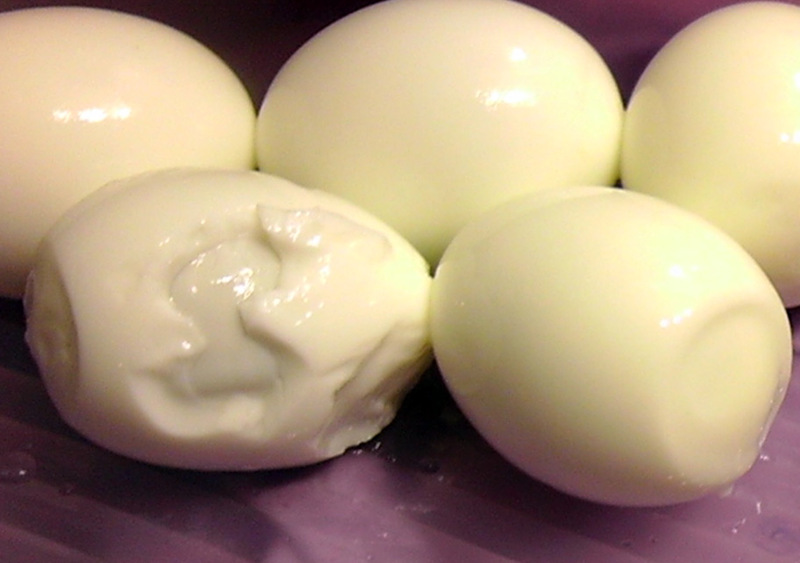 Hard-boiled eggs are very forgiving. Peel the eggs carefully. The trick is to crush the shell gently all around the egg without damaging the white, and then dig in at the wide end. 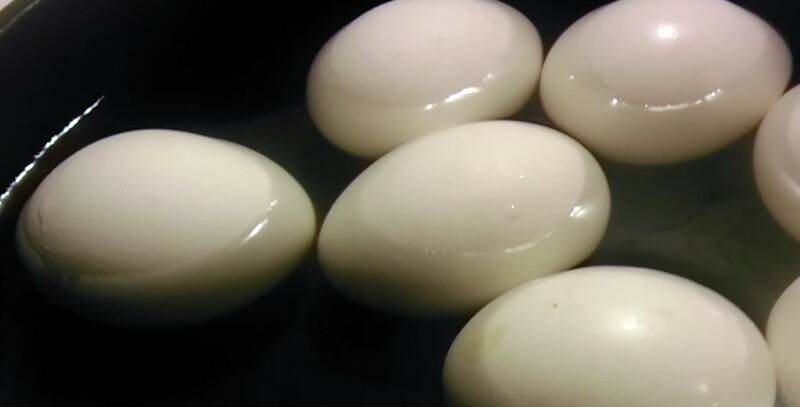 There’s a bubble of air under the shell with the wide end, so you can break the membrane that surrounds the white of the egg under the shell at this point. Then separate the shell from the egg by digging under the membrane all around. This should make the process go pretty quickly. It’s okay some of them aren’t perfect. 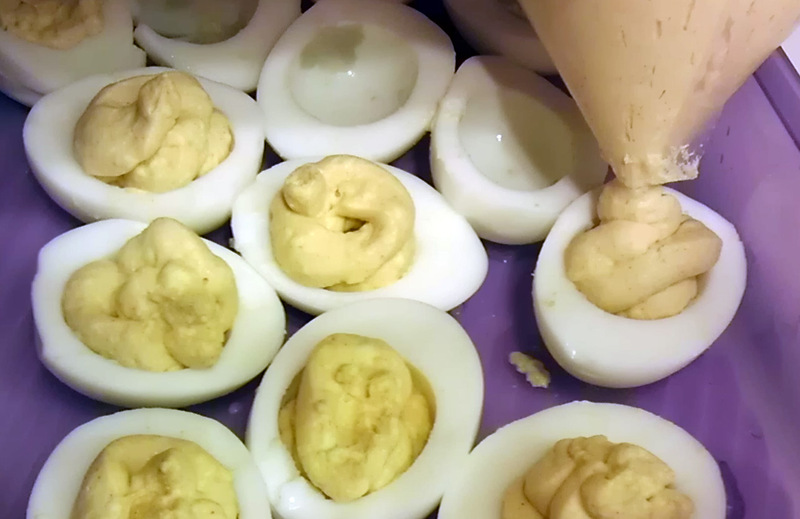 These aren’t the deviled eggs you’re going to bring to Aunt Trudy’s picnic. This is health food! Slice the eggs in half lengthwise. 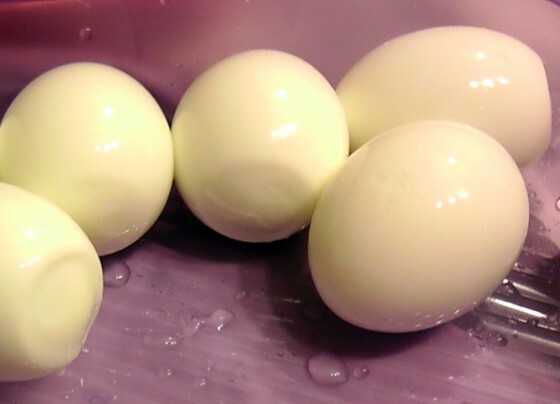 Pop the yolks into a separate bowl by stretching the egg whites gently around the yolks; they come out easily. To the yolks, you’ll want to add about a half cup of mayonnaise, a couple tablespoons of yellow mustard, and a half teaspoon each of salt, paprika, and onion powder. If you like, you can add some hot sauce or powdered cayenne pepper. And you can experiment with the proportions. A lot of this is to-taste. 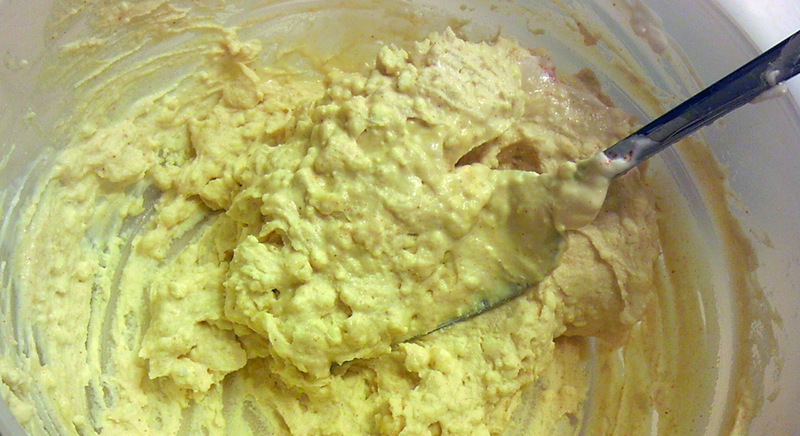 Cream this mixture together until it’s smooth. 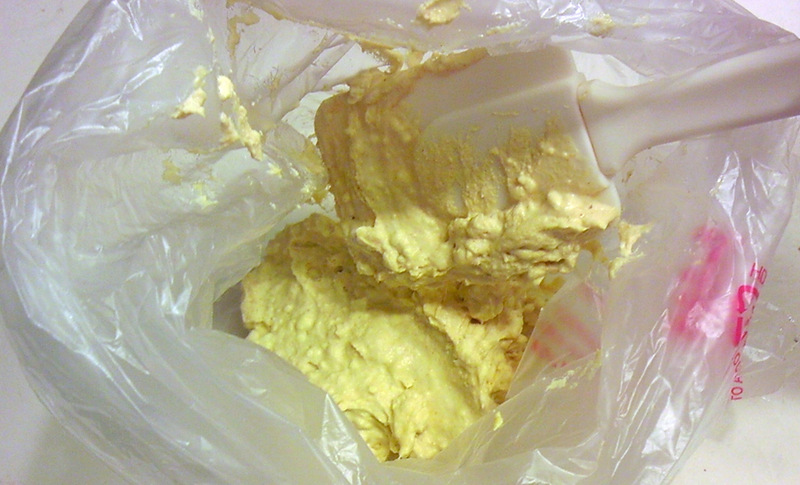 Transfer the yolk mixture into a disposable plastic bag, unless you have a pastry bag. 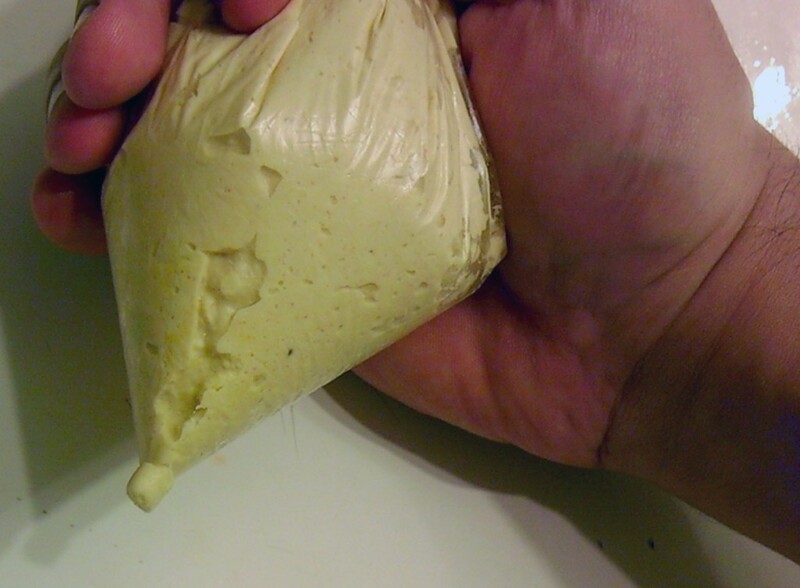 Squeeze the mixture down into one corner of the bag and twist the top so there’s no air left. Then snip off the tip, so that you can squeeze out the filling in a controlled way. 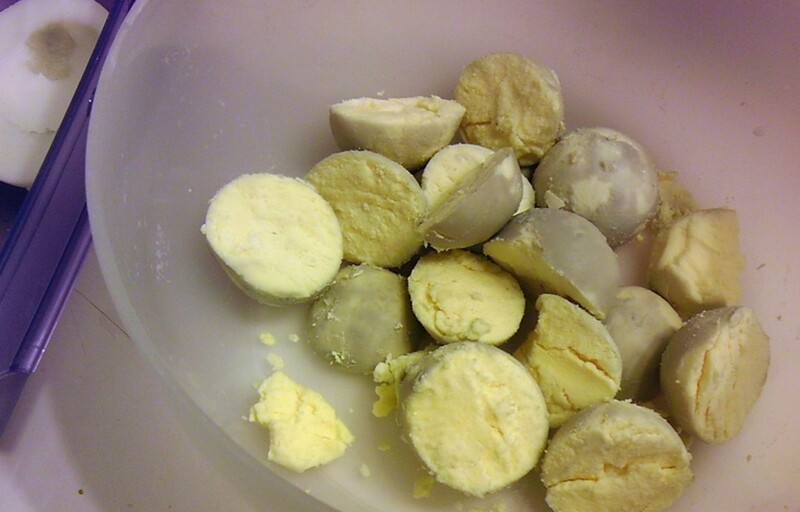 Fill each of the egg white halves generously with the yolk mixture. Since you added ingredients, there will be more yolk than there was to begin with, so they should all end up with a nice mound of filling. Just for pretty, sprinkle on some paprika at the end. You can whip up a batch of these very quickly. I’ll bet the ingredients are already in your pantry. And don’t be afraid to experiment. So many different spices and flavorings can go into the filling. Want to add dill pickle relish? Have a little chopped onion on hand? Do you like minced olives? This is one snack you’ll never get tired of. Boil the eggs until hard; About 10 to 15 minutes. Peel the shells off the eggs and slice them in half lengthwise. Take out the yolks, and put them in a separate bowl. Blend the remaining ingredients with the yolks until the mixture is smooth. 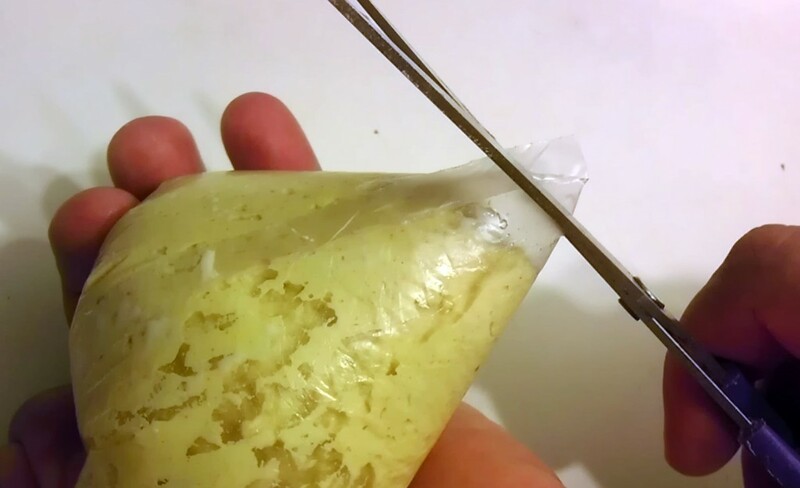 Put the yolk mixture into a pastry bag, or disposable plastic bag with a cut out corner. Squeeze the mixture back into the empty egg white halves. Sprinkle with paprika if desired.